Chainsaw is a wonderful cutting tool which can be used for a wide range of cutting projects. 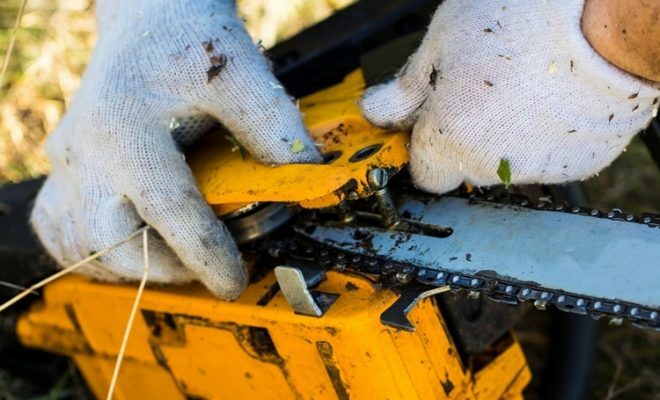 Starting from everyday lawn maintenance, or even for cutting firewood in your backyard, you can also use this type of saws for felling big, large trees in the jungle. 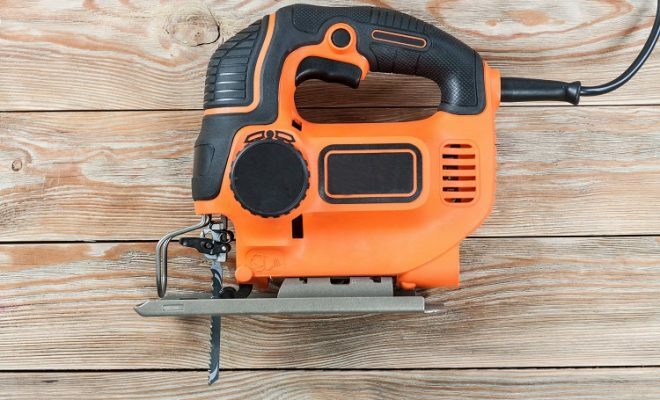 When it comes to purchasing chainsaw from today’s market, you’ll eventually have to choose from one of its two main types: Gas and Electric. When both these types are designed for distinct work environments, the fact that the electric models are further subdivided into two different categories, corded and cordless, turn this smooth looking purchase into an overwhelming task. 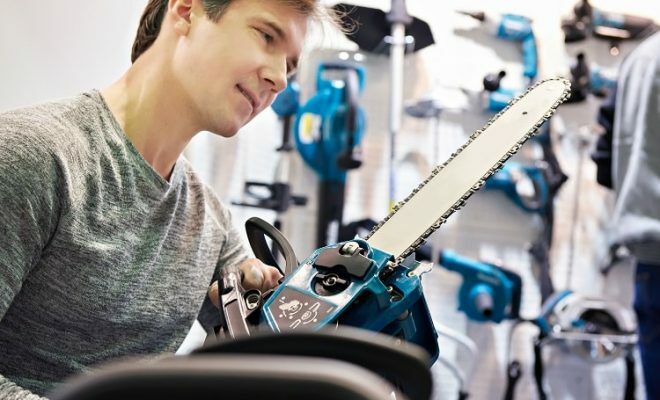 So, if you’re looking to purchase the best chainsaw 2019, but aren’t sure of where to look for, you’ve just landed at the right place. We’ve prepared this guide, incorporating the best chainsaw reviews, for all those of you who want to purchase nothing but top rated chainsaws. Gas chainsaws feature much more sawing power as compared their electric rivals. Incorporating a powerful motor, which requires a mixture of gasoline and oil, this particular type is famous for its greater chain speed. They also require much lesser pressure and when a gas-powered chainsaw is extremely portable, it eventually makes it a famous choice amongst professional as well as occasional chainsaw users. So if you’re looking for a cutting tool which can be used in heavy-duty projects, have a look at the gas chainsaw reviews. 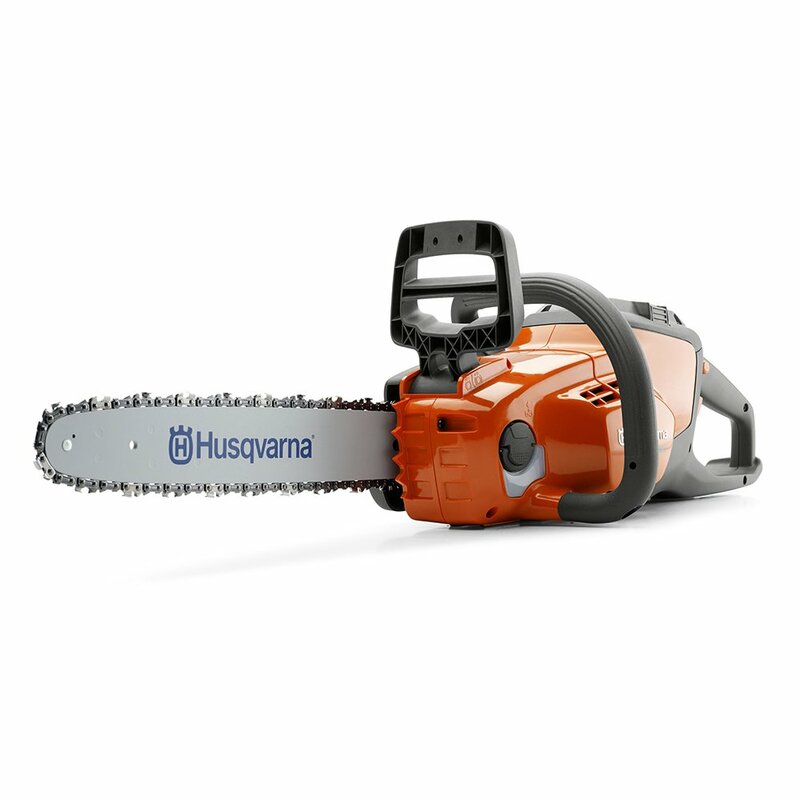 When it comes to chainsaws, Husqvarna is a brand synonymous with quality. A company which introduced its first chainsaw back in 1959, this manufacturer is extremely famous for producing heavy duty cutting tools. Coming towards the Husqvarna 460, this gas-powered chainsaw is basically designed for medium to heavy-duty cutting projects. Incorporating a powerful 60.3 cc X-Torq Engine, this unit provides unmatchable power. In addition, it also comes with a fuel efficient design which eventually makes this saw an environmental-friendly unit. Despite the fact that it comes with a powerful engine, the overall weight of the Husqvarna 460 is just under 13 lbs. Combine it with its ergonomic handle and this saw is extremely easy to use even for the newbies. Moreover, when professional users might want to use this product for a good amount of time every day, its lightweight construction ensures that you can use it anywhere, without feeling any kind of fatigue at the end of your job. The Husqvarna 460 comes with a 20’’ guide bar which makes it an extremely versatile unit. 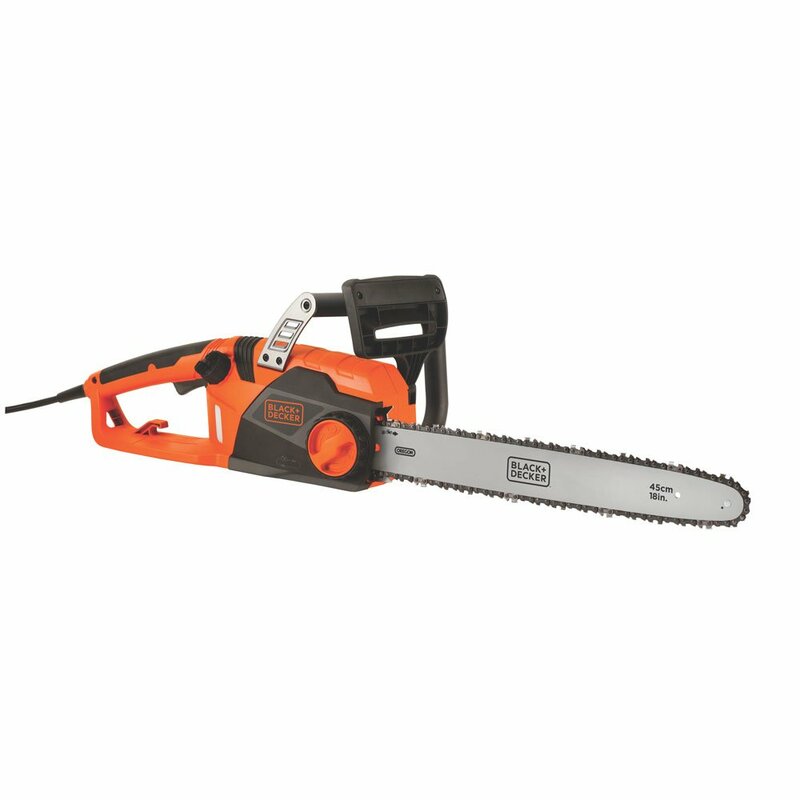 As compared to a majority of other gas-powered chainsaws, which come with a shorter bar length, the longer bar length of this model makes sure that you can use it for cutting larger lumber or trees. If you’ve ever used a gas chainsaw in the past, you might be aware of the problem that a majority of this type of power tools tends to produce a great degree of vibration during working. Apart from making it difficult to handle the saw, increased vibration also affects the overall accuracy of your work. In order to deal with this problem, the Husqvarna 460 features LowVib technology. This technology does well to reduce vibrations which means that you can get through your job without any kind of unwanted fatigue. Check out how Husqvarna 460 chainsaw works. The Husqvarna 460 is ideal for all those customers who’re looking to purchase a high-quality chainsaw from a brand they trust. Combining a lightweight construction with an easy to use edifice, this gas-powered chainsaw is also designed in compliance with the strict environmental standards. Featuring a powerful 50cc engine, the Poulan Pro 967061501 is ideal for all those of you who’re looking to purchase a gas-powered chainsaw at a very affordable price. Despite the fact that it is a cheap chainsaw, as this is one of the least expensive products in its category, this unit still comes with a wide range of features. Moreover, it also features a 2-year manufacturer warranty which gives further assurance about the quality of this purchase. 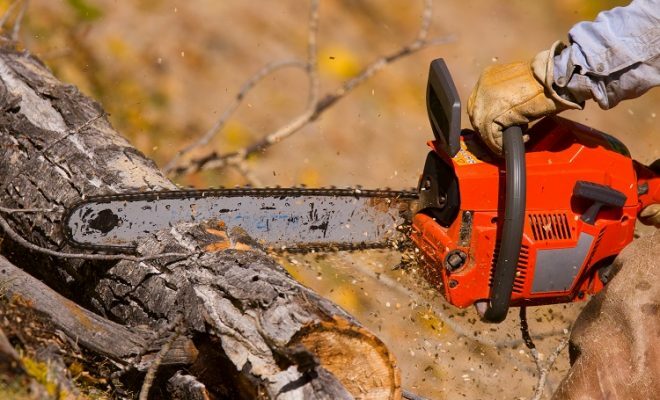 When it comes to gas-powered chainsaws, one problem which is usually associated with this type of power tools is a number of emissions which they release in the environment. In order to deal with this problem, the manufacturer has employed a special Oxypower Engine Technology in the Poulan Pro 967061501. Apart from increasing the efficiency of this chainsaw, as it tends to consume 20% lesser fuel as compared to its counterparts, this technology allows the Poulan Pro 967061501 to produce almost 70% lesser emissions in the outside environment. Powered by a 50 cc 2-cycle engine, the Poulan Pro 967061501 is further equipped with a 20’’ guide bar. This is the standard length of a guide bar which is more than capable of tackling your everyday cutting projects. When you can use this chainsaw for felling trees of cutting firewood, it is more than capable for maintaining your everyday property maintenance. For making it easy for the homeowners to use this product, the Poulan Pro 967061501 incorporates a number of useful features. First of all, it comes with an ergonomic design so you don’t have to exert much force while using this equipment. Secondly, the manufacturer has integrated a special Anti-Vibration System in this unit which, as evident from its name, reduces the number of vibrations being felt by the owner. So when it is quite an inexpensive chainsaw, it is very easy to use as well. 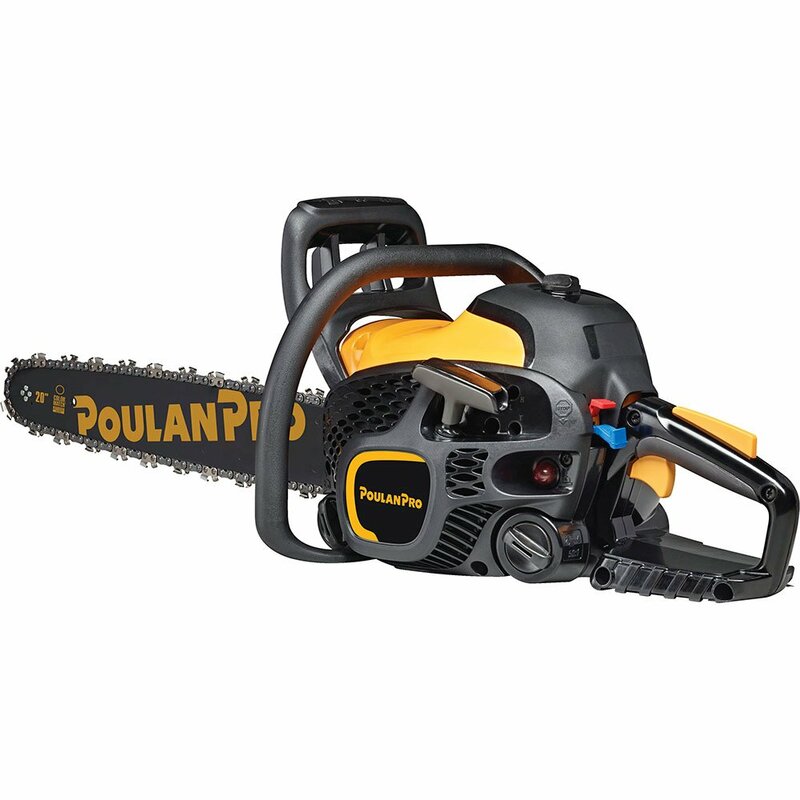 If you’re looking to purchase a gas-powered chainsaw but cannot afford to spend too heavily on this purchase, the Poulan Pro 967061501 can be a great option. Backed by a 2-year warranty, this product is more than capable of handling your everyday projects without any hindrance. If you’re looking for a heavy duty chainsaw, one which can handle large-sized materials with a considerable easy, have a look at the Echo CS-590. Incorporating a powerful 59.8 cc engine, which delivers a staggering output of 3.89 Horse Power, this product features a longer bar length which lets you complete your job in a very short span of time. The Echo CS-590 incorporates a transparent fuel tank which makes sure that you don’t have to suffer from unwelcome surprises in the middle of your job. As compared to a majority of other gas as well as electric chainsaws which are devoid of any such mechanism, this model keeps you informed of when it’s time to refill your fuel tank. The Echo CS-590 is bereft of any kind of electric start button which means that you’ll eventually have to rely on the cord for starting this unit. However, the manufacturer has introduced a decompression valve in this device which makes sure that you can start this chainsaw after pulling the cord for a single time. When this particular feature is of the great essence of a regular basis, it comes much handy, especially in the winter days. 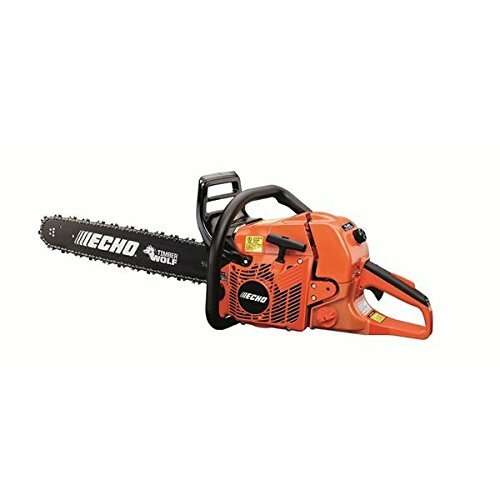 Considering the fact that the Echo CS-590 comes with a 20’’ long guide bar, any kind of vibrations can make it extremely difficult for even the most experienced of chainsaw users to have complete control over this device’s movement. The Echo CS-590 tends to solve this problem in a couple of ways. First of all, this unit comes with an overall weight of 17lbs which, as compared to other lightweight units, give added stability to your work. And second of all, the manufacturer has employed special metal spikes on this chainsaw’s design which are more than capable of restricting the vibrations to a greater degree. 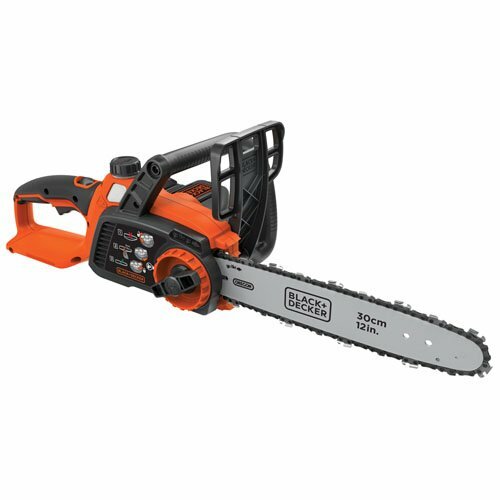 If you’re looking for a versatile chainsaw, one which can handle both domestic as well as commercial cutting projects, the Echo CS-590 is what you need. Featuring a powerful engine along with a long-lasting construction, this product is designed to make your life easier. The XtremepowerUS 22’’ Chainsaw is approved by the EPA in terms of its lower emissions as well as lower fuel emissions. It comes with a 45cc gas-powered engine which is designed to provide 2.4HP which means that apart from trimming thick heavy branches with this unit, you can also use it for cutting down large trees. In addition, it features an anti-kickback chain which ensures that you won’t be putting yourself at risk while operating this chainsaw. As already mentioned, the XtremepowerUS comes with a 45cc engine which allows this equipment to run at a maximum speed of 12000 rpm. This is basically an EcoBoost engine which, apart from increasing the efficiency of this cutting equipment, does well to reduce the harmful emissions. The 45cc engine requires a 40 to 1 fuel/oil ratio so for every 1 liter of gasoline, 25ml of engine oil should be added to this engine. When the fuel tank can hold in no less than 0.55L of gas at one time, the oil tank accommodates 0.25L maximum capacity. For any chainsaw, it is imperative that it should come with a lightweight design so that the owner can easily carry it from one place to the other. The overall weight of the XtremepowerUS is just 16lbs which makes it one of the most portable cutting tools in today’s market. The XtremepowerUS features a 22’’ long bar which performs extremely well in a wide range of small to medium-sized cutting tasks. With this bar, you can cut logs up to the maximum diameter of 20’’ and it will produce flawless results on a single pass. The manufacturer has integrated a number of safety features inside this device. Even though both the chain and bar of the XtremepowerUS are designed for reduced kickback, but even if it still happens, the safety brake comes handy for reducing any kind of danger. Then comes the front as well as rear hand guards both of which protects your hands from suffering any kind of injury. The XtremepowerUS can be a great option for all those chainsaw users who’re looking to make this purchase for small to medium-sized cutting projects. So if you’re an occasional woodworker or one who is looking for a convenient cutting tool to get through his backyard project, this product is worth a try. 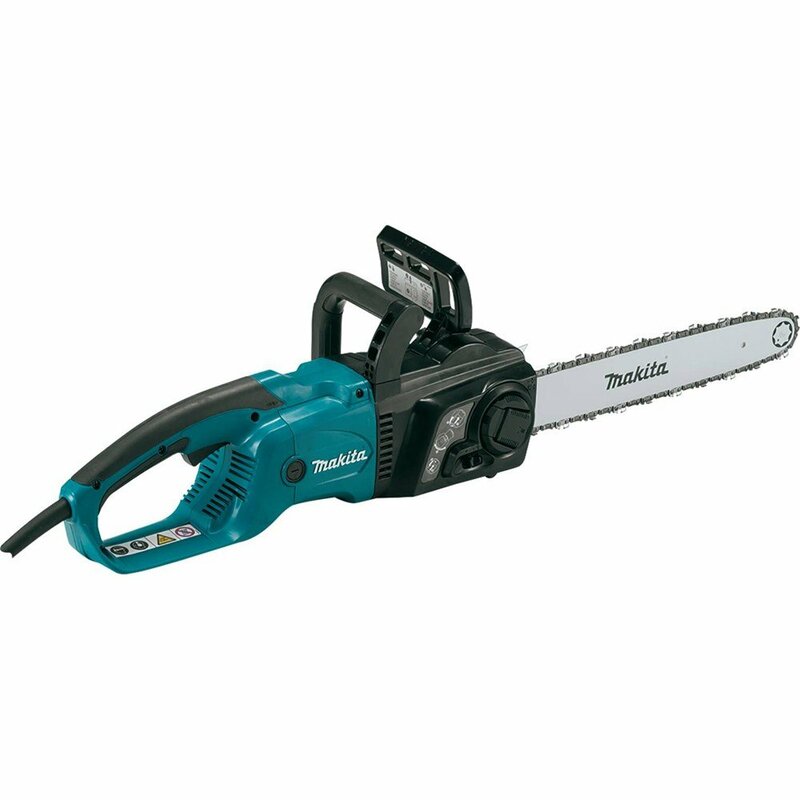 There are two types of electric chainsaws which you can purchase from today’s market: Cordless and Corded. Each one of them is designed for specific woodcutting projects and both of them feature distinct cutting capacities. The corded electric chainsaws, unlike their gas-powered counterparts, do not require any fuel for their operation. 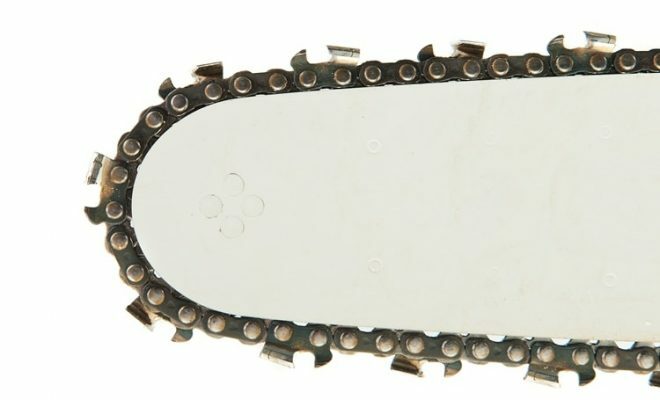 Featuring a power cord, which needs to be connected with a nearby switch, this type of electric chainsaws work on electricity. As a result of their working mechanism, the corded electric chainsaws tend to produce a much lesser noise while working. They are also considerably lighter in weight and you can purchase them at a pretty lesser price as compared to any of the gas as well as cordless electric chainsaws, it makes them a famous choice amongst inexperienced chainsaw users. However, their power output is certainly lesser than the gas-powered cutting tools and when they must always be connected to a power switch, they are not very portable as well. The Cordless Electric Chainsaws work on rechargeable batteries so you don’t have to connect them to a power outlet. You just have to recharge the batteries beforehand as a battery powered chainsaw requires no fuel or even electricity for its operation. However, even the best cordless chainsaw feature much lesser power as compared to any other type of chainsaws. You can use it for cutting, trimming or felling small trees as it is usually designed for light-duty cutting chores. So if you’re looking to purchase the best electric chainsaw, have a look at the below-mentioned chainsaw reviews. When it comes to Black and Decker, it is a household name in the field of power tools as well and quality home appliances. Having been in this business ever since 1910, the BLACK+DECKER LCS1240 is the latest product from this particular manufacturer. Featuring a 12-inch blade, the BLACK+DECKER LCS1240 incorporates a Lithium-Ion 40V battery which, unlike a corded chainsaw, makes it a highly portable unit. The overall weight of this model is just above 8lbs which means that you can carry it from one place to the other without much hindrance. 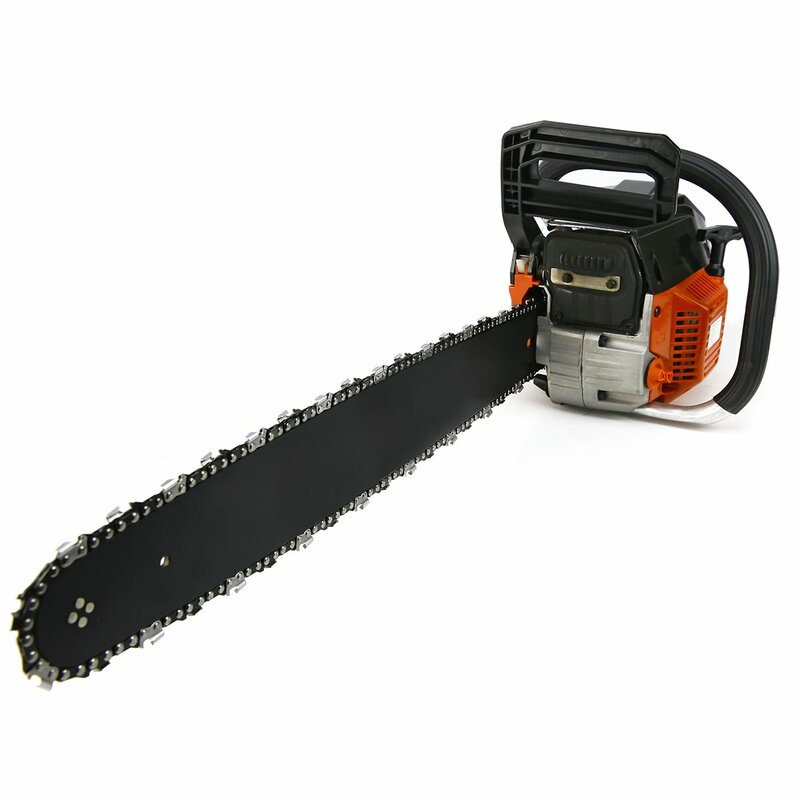 Lastly, the manufacturer is offering a 3-year warranty on this unit so you can use this chainsaw without any hesitation. The BLACK+DECKER LCS1240 runs on a powerful 40V Lithium-Ion Battery which is more than capable of getting your job done. The manufacturer has provided a battery charger along with this purchase which runs on the 110V power supply. The cordless chainsaw takes up to 45 minutes for full charging and once fully charged, it can be used for no less than 1 hour. For a wide range of chainsaw users, this is more than enough time in which they can easily complete their cutting tasks. Another feature, which we personally found quite impressive in this unit is the presence of charge indicator. It basically notifies how much battery is still remaining so you won’t have to recharge this model in the middle of your job. When it comes to chainsaws, one thing which you’ll be doing on a consistent basis is to tension the chain. When the chain is such an integral part of this unit, as you just cannot work with a loose or even a stiff chain, every chainsaw user spends a lot of his time on this particular component. However, when other chainsaws require a couple of additional tools for tensioning the chain, there is no such thing with the BLACK+DECKER LCS1240. Featuring a superior tool-free chain tensioning system, you just have to rotate the dial provided on one side of this unit. As a result, you’ll be tensioning the chain in a matter of few seconds. The BLACK+DECKER LCS1240 comes incorporated with a low kickback chain which is further provided with an automatic oiling system. It means that this part of this chainsaw, which is going to play a vital role in cutting the woods, can take of itself with little to no external help. If you’re looking for a cordless chainsaw designed to perform medium-sized cutting tasks, the BLACK+DECKER LCS1240 is worth a real shot. Coming from a trusted manufacturer, this model comes with a 12’’ maximum cutting capacity along with a Li-Ion Battery which provides a decent run time on a single charge. 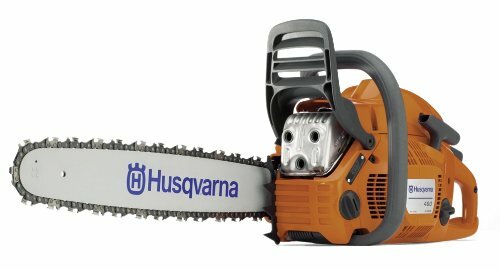 When it comes to Husqvarna, a majority of chainsaw users normally associate this brand with high-quality gas powered chainsaws. Even though this manufacturer has produced some of the finest gas chainsaws in the recent past, it is equally proficient when it comes to electric-powered chainsaws as well. Talking about one such product, have a look at the Husqvarna 120i. This cordless chainsaw comes power packed with features as it is basically designed for all those homeowners who’re looking to make this purchase for small cutting projects. Featuring a 14-inch blade, this product is more than capable of cutting through a 12’’ log in a simple pass as you can use it for felling small trees, cutting tree branches or performing other such tasks around your home or yard. Incorporating compact dimensions, the overall weight of the Husqvarna 120i is just 10.8lbs after including the chain and bar. It also features a soft grip handle which is a real plus if you’re going to use this model for an extended duration. Another impressive feature in this chainsaw’s design is the intuitive keypad which makes it convenient to turn on/off this equipment by pressing a single button. It means that you don’t have to pull the cord which can be really frustrating, especially in winter days. Once you turn on this unit, a green LED light appears on one side of this unit which notifies you that this chainsaw is ready for action. The Husqvarna 120i comes with a save mode which is basically a power saver setting integrated into this unit. This mode works in such a way that once you activate it, it reduces the chain speed which effectively increases the battery timing of this model. It comes handy when you’re trimming smaller branches in which you don’t require the chain to work at its maximum speed. A technology which can be found in a number of Husqvarna power tools, the LowVib does well to reduce the vibrations of this unit. When you’re operating this device, it tends to produce a minimal amount of vibrations so you can enjoy optimal control over this chainsaw’s movement. In addition, if you’re going to use this chainsaw for several hours, this vibration reducing technology will protect you from unwanted tiredness. When it comes to the Husqvarna 120i, it isn’t the most inexpensive chainsaw which you can purchase from today’s market. However, when this model comes with a number of hi-tech features, all of whom are designed for the user’s convenience, it does well to justify its price tag. So if you can afford to spend a bit higher in return of a decent quality cutting tool, this product is worth a shot. 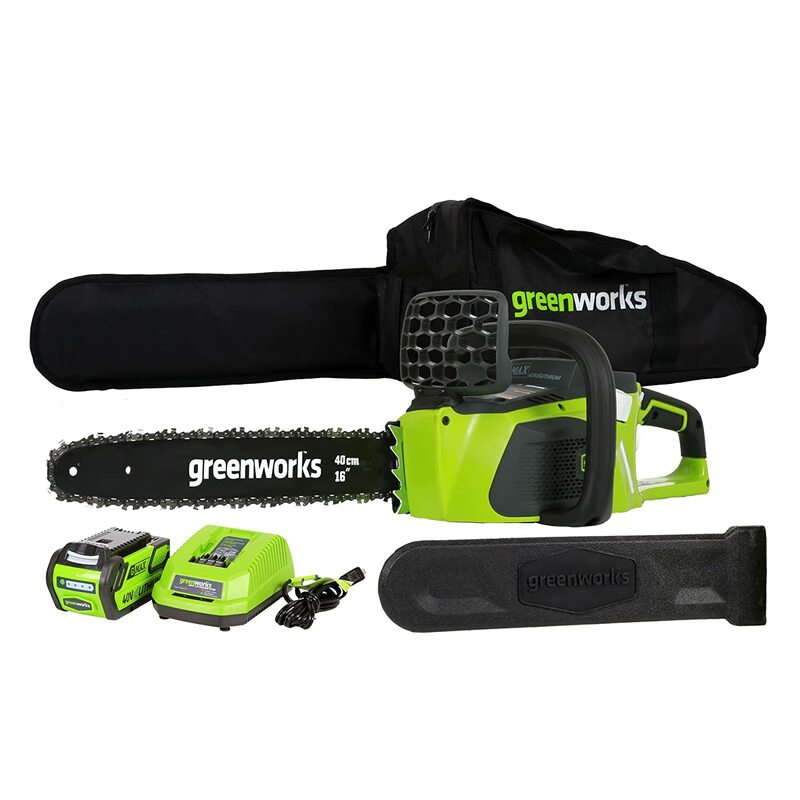 Coming from one of the most popular chainsaw brands in today’s market, the GreenWorks 20312 is designed for the convenience of homeowners. Featuring a 40V, 4AH rechargeable Lithium Ion Battery, this model makes use of a brushless motor which allows it to deliver 30% more torque as compared to a majority of other battery powered chainsaws in today’s market. Moreover, it also produces 70% lesser vibration which means that you won’t be feeling tired at the end of your job. Included in this purchase is a powerful Li-Ion battery which is good enough to perform a wide range of light-duty cutting chores. The battery recharge time is just 2 hours and once fully charged, you can use this cordless chain to make no less than 150 cuts on even 4×4 wood. The manufacturer is also providing a charger with this purchase which makes it a real budget-friendly option. If you’ve ever used a gas-powered chainsaw in the past, you might be aware of the fact that a majority of those units come with a heavyweight construction. 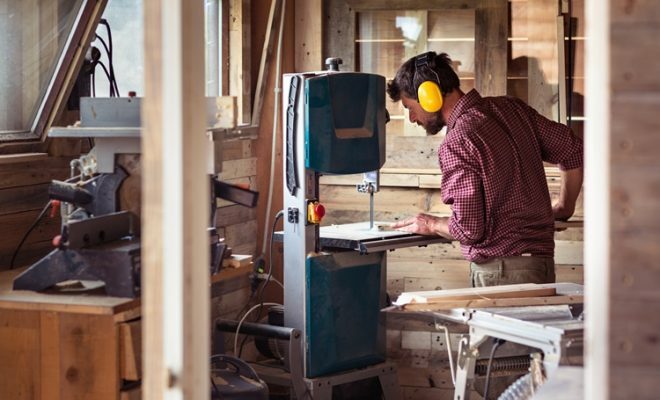 Even though they do provide a much greater power as well, but when it comes to simple domestic purposes, every homeowner looks for a lightweight chainsaw. The overall weight of the GreenWorks 20312 is just above 10.3lbs which makes it one of the lightest products in its category. Even with such a lightweight design, this product is still capable of performing a series of wood cutting projects, including pruning or cutting of smaller trees, which provides a perfect fusion of portability as well as functionality to the chainsaw users. When it comes to chainsaws, kickback is one of the most common reasons for injuries associated with this cutting tool. In order to make sure that no such thing happens with the owner of this model, GreenWorks has combined a low kickback chain along with a superior chain break feature in this battery chainsaw. As a result, both these features combine effectively for increasing your safety with this unit. The GreenWorks 20312 is a real deal for all those of you who’re going to use fir in a number of distinct wood cutting projects. Featuring a series of hi-tech features, such as a Brushless motor along with a rechargeable battery, the 4-year manufacturer’s warranty ensures that you don’t have to worry about the quality of this powerful tool. Coming from a famous brand in the field of power tools, the DEWALT DCCS690M1 comes power packed with a long list of hi-tech features. Having a brushless motor, which allows it cut through logs up to 14 inches in diameter, this product comes with a 4AH battery which provides an impressive run time of up to 70 cuts – on a 6×6 wood – on a single charge. Moreover, it is backed by a 3-year warranty which is always a nice thing to have in any power tool. 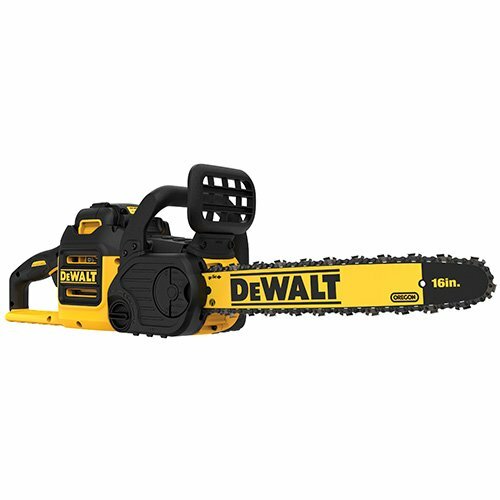 Starting with the standout feature of this product, which is highly uncommon in other electric chainsaw reviews, the DEWALT DCCS690M1 features a variable speed trigger. Now what it does is that the farther you press this trigger, the fast this saw will operate while cutting through the wood. With this feature, you can effectively control the speed of this model which means that when a lesser chain speed would be viable for cutting smaller branches, you can increase the speed when it comes to felling trees. Apart from making it easier to operate this unit, the variable speed trigger will also enhance the overall run time of this mode’s battery. If you’re an experienced chainsaw user, you might be aware of the fact that you have to oil up this machine at regular intervals. When it is such an integral part of a chainsaw’s maintenance, failure to do so can effectively harm you chain’s operation. But in order to save its owner from any such hassle, the DEWALT DCCS690M1 has taken all such responsibility on himself. With this unit, you just have to add the oil and it will make sure to properly lubricate the chain with the help of LubriLink and the LubriWell features. As compared to a wide range of gas-powered chainsaws, which come with the frustrating experience of pulling the cord every time for starting the equipment, the DEWALT DCCS690M1 has introduced an effortless mechanism for this particular purpose. All you need to do is just to pull the trigger and this unit will come to life instantly. So whether you’re an experienced customer or even an occasional user, this particular feature is of the great essence for every chainsaw user. If you’re looking for a cordless chainsaw with improved cutting capacity, there aren’t much better products than the DEWALT DCCS690M1 Brushless chainsaw. Extremely easy to start with minimal maintenance requirements, this equipment can be used in small to medium-sized jobs on a regular basis. If you’re looking for a cheap chainsaw, this isn’t the product for you. 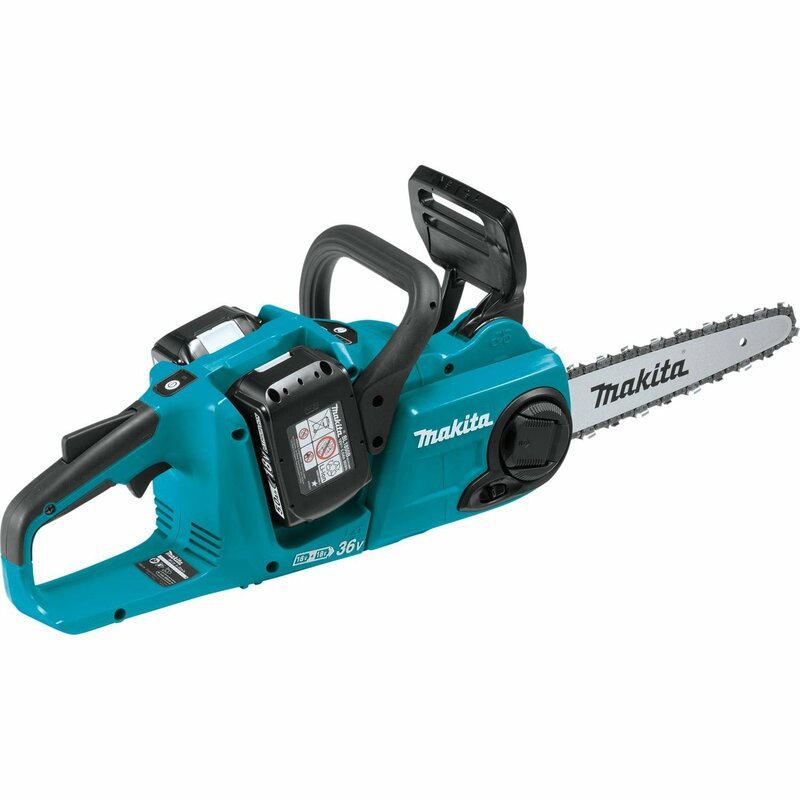 But if you’ve set foot in the marketplace in search of the best electric chainsaw, one which combines quality with performance, this is where the Makita XCU03PTX1 enters into the picture. Offering a variable speed trigger, which allows you to adjust the chain speed as per the cutting project, this product makes use of 2 different batteries for a much powerful performance. Furthermore, it makes use of a durable construction which means that you can use this power tool for years to come. The Makita XCU03PTX1 features a built-in LED switch for the user’s convenience. You don’t have to worry about pulling the cord, which is a common occurrence with gas-powered chainsaws, as all you’ve to do is just to pull the trigger switch. Afterward, an LED will appear which ensures that the unit is ready for work. The LED switch is further provided with an auto-off function which does well to enhance the battery runtime. It works in such a way that once you leave this model idle for some time, this feature will shut down the Makita XCU03PTX1 for enhancing the battery life. The Makita XCU03PTX1 is equipped with two 18-V Lithium-Ion batteries for maximizing the performance. While using this power tool for light-duty cutting tasks, you’ll get a 45 minute run time out of both these batteries. But if you plan to use them for heavy-duty projects, such as cuttings logs up to 18 inches in diameter, the batteries will require recharging much quickly. For making it easier to charge both batteries at a single time, the manufacturer has provided a dual port charger along with this purchase. Furthermore, a separate battery slot is provided on each side of this unit which gives a good balance for smooth operation. When it comes to the Makita XCU03PTX1, there isn’t any shortage of safety features. First of all, it comes with reduced kickback bar along with low kickback chain, both of which are designed in compliance with strict safety standards. Then come the front and rear hand guards which do well to keep your hand from coming in contact with the chain. Moreover, this cordless chain also features a chain brake which stops the chain from working in the event of a kickback. You can also use the lock-out button which makes sure that this unit will stay away from unwanted startup. At a time when there isn’t any shortage of power tools in the market, the Makita XCU03PTX1 is one of the top-rated chainsaws which you can purchase. One of the very few models which run on 2 different batteries, this product comes with several unique features, including a variable speed trigger and a tool-less chain adjustment, which allows it to produce almost the similar performance as compared to its gas-powered counterparts. The Makita UC4051A is designed for all those home-owners who are looking for a user-friendly chainsaw to use around their home or yard for domestic cutting chores. Backed by a 1-year manufacturer’s warranty, this is a corded-electric device so you don’t have to worry about replacing the batteries or filling up the fuel tank. It also has a rubberized grip handle – which is designed for your convenience – along with lightweight construction so you can easily carry this chainsaw for an extended duration of time. The Makita UC4051A features a 16’’ long guide bar along with an Oregon Chain. If you’re an experienced chainsaw user, you might be aware of the fact that Oregon is one of the leading manufacturers in the field of chainsaw cutting equipment. So you can be sure that the chain which Makita employed in this cutting tool is also of a high-quality. One thing which makes this chainsaw extremely easy to use for the occasional chainsaw users is its low kickback chain. It basically reduces the occurrence of kickbacks which can be a real plus for you if you’re still relatively new to the field of cutting equipment. For tensioning the chain, the Makita UC4051A incorporates tool-less chain tensioning system so you don’t need any kind of screwdrivers or hex wrenches for this purpose. All you have to do is to loosen the sprocket cover before rotating the dial and this chain will be tensioned in a matter of few seconds. Featuring a 14.5-amp motor, the Makita UC4051A is capable of producing 2.3HP on the job site. This motor provides enough power to handle your domestic cutting chores. It might not be enough for felling big trees but as far as your light-duty tasks are concerned, the power produced by this chainsaw will be more than enough. In sharp contrast to gas-powered chainsaws, it is extremely easy to start a corded chainsaw. You just have to push a button and this unit will start immediately. However, when it makes it easy to turn on this device, it can also startle users who press this button unknowingly. Thus for saving you from any such kind of disturbance, the soft start system comes handy in the Makita UC4051A. If you’re one of those homeowners who is looking to purchase a decent quality chainsaw designed for small-medium sized cutting tasks, the Makita UC4051A is a great option. Offering a reliable performance with plenty of superb safety features, this device can be used for years to come thanks to its robust construction. The WORX WG303.1 is an ideal option for all those budget-oriented chainsaw users who’re relatively tight on their budget. Coming from a trusted brand in the field of cutting equipment, which has been around ever since 2004, this product combines affordability with performance. Powered by a 14.5 Amp motor, this corded chainsaw is designed to produce an impressive 3.5HP. It features 12m/s chain speed which is more than capable of making short work of your light-duty cutting jobs. Lastly, it is covered by a 3-year manufacturer’s warranty which is a real plus, especially if you look at the price tag of this model. The overall weight of the WORX WG303.1 is just 11lbs which makes it one of the lightest models in its category. Apart from making it comfortable to hold this chainsaw for a regular period of time, such a lightweight construction makes it easy to carry around this unit from one place to the other. If you’re a home-owner or even an occasional chainsaw user, the last thing you’d want to do is to tighten the chain by yourself. When it is quite frustrating, not every person is equipped with the right set of skills to do it without external help. In order to save you from any a such headache, the WORX WG303.1 comes with an auto-tension system. It makes it extremely easy to adjust the bar and chain as a separate knob is provided for this purpose. You just have to replace the knob and the chain will adjust itself automatically. Keeping in mind your personal safety, WORX has exclusively designed a Chain Break feature in the WORX WG303.1. 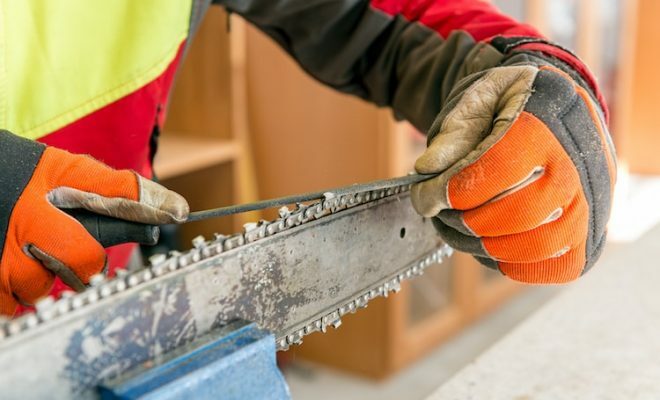 If kickback occurs, this feature will halt the Chainsaw’s working which means that it is more than capable of protecting you from any kind of injury. If you’re looking for a cheap saw with a reliable performance, the WORX WG303.1 fits perfectly into this category. As long as you keep on using this saw for light-duty cutting jobs, it will be more than enough to fulfill your demands. Featuring a 15-amp motor, The BLACK+DECKER CS1518 is a corded electric chainsaw with an 18-inch low-kickback bar and chain. This device can be used for felling small trees and brushes as you can also use this product for redesigning your backyard. For added stability, this chainsaw incorporates a bit heavier construction as its overall weight is 12lbs. Finally, the manufacturer is also offering a 2-year warranty with this purchase which means that you can make this acquisition with full peace of mind. For minimizing maintenance requirements, the BLACK+DECKER CS1518 features an impressive automatic oiling system in its construction. Unlike other manually operated chainsaws, this feature removes the guesswork in terms of how much oil is optimal for a flawless chain performance. When it does that by itself, as it automatically oils the chain at regular intervals, all you have to do is just to pour in the oil via the oil reservoir cap designed at the top of this unit. Then comes the tool-less chain tensioning system which, as evident from its name, nullifies the requirement of tools for any such adjustment. A locking knob + tensioning lever is provided for this purpose which makes sure that everyone can do it, even without prior chainsaw experience. Just like other top-rated chainsaws, the BLACK+DECKER CS1518 has made no compromise when it comes to the safety features of this unit. This product features an impressive chain brake mechanism which is activated as soon as kickback occurs during the course of your work. When it comes to turning on the BLACK+DECKER CS1518, you have to press an additional trigger apart from the on/off button. It basically enhances your personal safety as even if you press the switch alone, unknowingly, this chainsaw won’t start which eventually prevents an unexpected launch. If you’re looking for an electric chainsaw for cutting slightly larger pieces of wood, the BLACK+DECKER CS1518 can be a great purchase. Having an 18’’ Bar and Chain, which is slightly larger than the average electric chainsaws in today’s market, this can be the best chainsaw for your household needs. There is no need to watch a series of Hollywood movies to determine how dangerous a Chainsaw could be if used without proper care. For ensuring optimal safety, always use this cutting tool with safety gloves as well as tight clothing.